Tian'anmen Square. The Forbidden City. The Great Wall of China. The hutongs. As a city with more than 3,000 years of history, Beijing challenges its visitors with an exhaustingly long checklist of ancient architecture, cultural sites and museums. Covering this megacity in a three-day visit requires a lot of energy, but in just 72 hours we had a great sense of both the past and future of China's capital. Read on for my recommendations from our trip and an inside look at Peking! 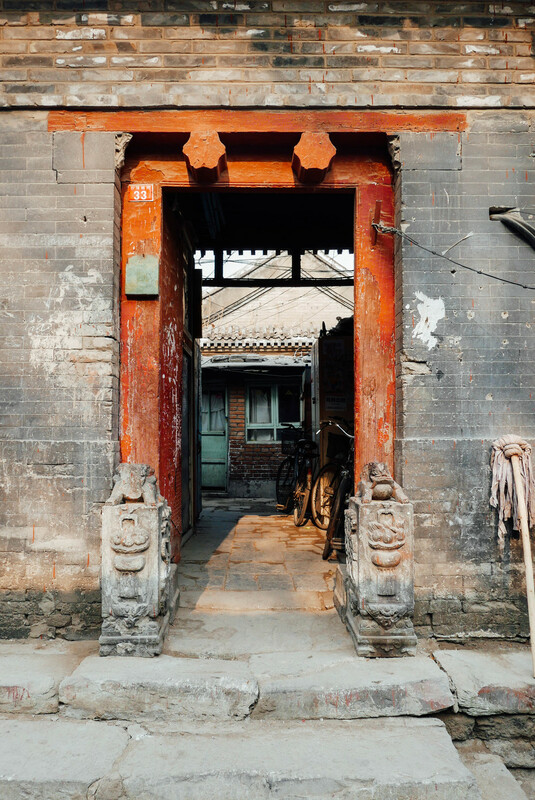 To get a real taste of Beijing, head to the city's ancient hutongs - narrow alleyways formed by the outer walls of courtyard homes. Many of these traditional residential areas have been erased to make way for new construction, but those still standing offer the best glimpse into old Beijing. The frenetic little laneways - a maze of produce stands, tiny shops and street vendors - are like a window to the city's soul. Some have been revitalized into hip destinations to spend your yuan, with trendy designer boutiques, curious vintage stores and cozy coffeehouses. 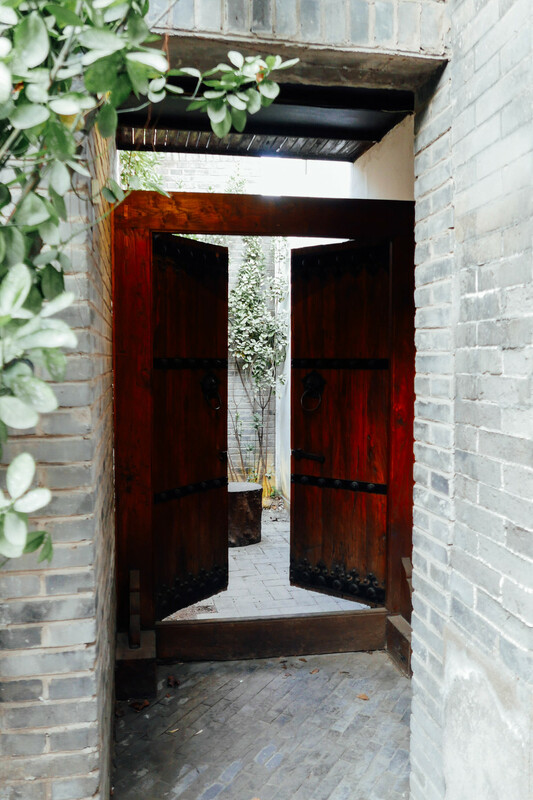 We stayed at The Orchid, a 10-room boutique hotel hidden away in a quiet hutong courtyard in the Gulou area. The Orchid's onsite restaurant, Toast, is easily the best hotel food I've ever eaten - and breakfast there is included in your room rate. Even if you don't stay at the hotel, I recommend booking a seat in their tiny restaurant for brunch, where you can sip Yunnan coffee while feasting on banana bread (served in a bamboo steamer basket) and a cast iron frittata of eggs, vegetables, Sichuan bacon and cheese baked atop home fries. If you visit The Orchid in warmer months, brunch is served on their rooftop terrace that overlooks the ancient tiled roofs of the hutongs. In addition to its incredibly friendly and helpful staff, The Orchid provides its guests with a map of Beijing (both streets and subway) that has nearly 70 recommended restaurants and bars marked - along with a Chinese phrase guide, names of all the big tourist attractions written in Mandarin and suggested walking tours. We never left the hotel without it! If modern digs are more your style, check out The Opposite House in Sanlitun, where you can enjoy luxuries like a Bose sound system in your rain shower. Get lost in the world's largest ancient palatial structure. It took 14 years to construct the Forbidden City, a staggering 8,700-room palace that housed 24 emperors and marks the heart of Beijing. Within its royal red walls are nearly a million cultural relics, from jade to paintings to pottery. Visiting the palace is an all-day event and there are very few places to eat inside, so be sure to bring your own food (we resorted to a popcorn lunch on our visit). It's likely that you'll be hounded by tour guides wanting to sell you their services at the palace's ticket gate, but we felt that the museum's audio guide with GPS was quite adequate. Most importantly, exit through the north gate after your visit and head across the street to Jing Shan Park for the best arial view of the palace's 980 buildings. Toast the capital city with sunset drinks overlooking the palace. Grab a window seat at the Capital M bar, order from their extensive wine list or cocktail menu, and watch the ornate rooftops of Beijing light up - from Qianmen Gate to the Forbidden City. If you're visiting in warm weather and up for a splurge, dinner on their terrace offers an even better view. Enroll in Dumpling 101. The Orchid offers a weekly dumpling making class, during which you'll eat your weight in gyoza and imbibe on free-flowing wine and beer. Get on the list here. Hike the ruggedly beautiful "Wild" Wall. The absolute highlight of our China trip, hiking the Great Wall was an activity worthy of its own blog post! You can read about our experience in detail here. We covered 6 miles of the ancient stone fortification, beginning with the "wild" wall in overgrown, crumbling Jiankou and ending in beautifully restored Mutianyu. If I only had one day in Beijing, I'd without a doubt spend it on the wall. With more than 2,300 years of history, being in the presence of man's greatest architectural feat is an experience that will move you. Stroll the Shichahai Lakes. Once part of the emperor's extensive pleasure garden, the three interconnected lakes that make up the Shichahai area are a great place for a leisurely walk. Whether you float the lakes in a rowboat during summer or skate their frozen waters in winter, be sure to complete your visit with a stop at one of the lakefront's many cafes or bars. Fall in love with Yunnan cuisine. We started bingeing on the diverse foods of this southwestern Chinese province while visiting Shanghai, and we didn't slow down in Beijing. Check out Hani Gejiu and Dali Renjia, where you can explore dishes like jasmine flowers stir fried with egg or fried goat cheese with sausage and peppers. Shop for souvenirs in the hutongs. 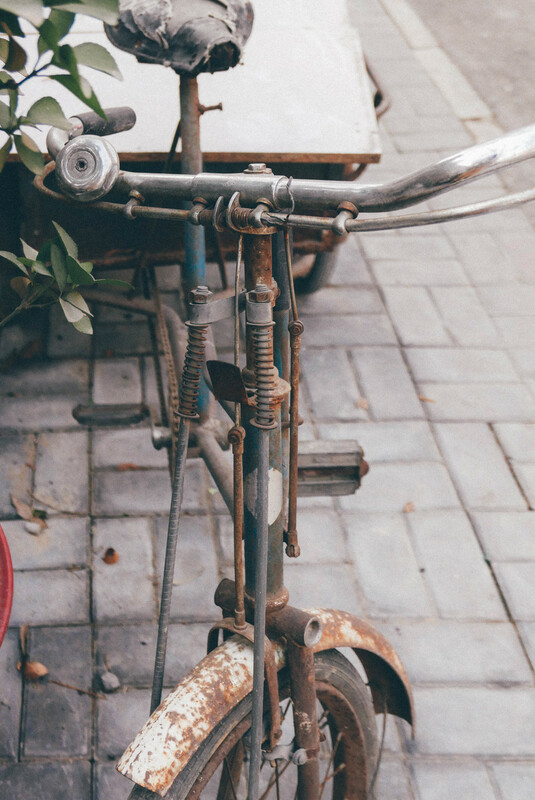 Likened to New York's Brooklyn, the gentrified Wudaoying hutong is a treasure trove of vintage shops, independent designer boutiques and intimate eateries. Reserve an afternoon to wander this chic alleyway and peruse its shops for souvenirs - I came home with a handmade, buttery soft deer skin bag from Zi Wu. Avoid tap water and stick to bottled. Restaurants will serve your water hot - an indication that it's clean! English communication will be very difficult. If you're traveling by cab in the city, be sure to have your destination written down in Mandarin for the driver. And don't be afraid of the subway - it's easy to navigate with plenty of English signage. Keep in mind that traffic in Beijing is horrendous - designate one neighborhood or area to tackle each day as making cross-city treks in a taxi is sure to infuriate you. Not your average hotel key card. Yellow glazed roof tiles as far as the eye can see. One of the Forbidden City's resident cats. Tilework on the palace walls. A bird's eye view of the Forbidden City's 980 buildings, as seen from Jing Shan Park. Had to restrain myself from luring this odd-eyed cat home with me. Street scenes from the hip Wudaoying Hutong. Skating on the frozen Shichahai Lakes. Of course the Chinese have ice bikes. When you're really fed up wth your chair being stolen. The moment that we finally cleared the smog.